Tip the Scale in their Favor. Donate Today. Gifts to the Foundation are used to provide scholarships for REACH Scholars, support character building and leadership development opportunities, and promote unique college campus experiences for REACH Scholars during their program participation. There are academically promising students across Georgia who come from low income homes and strive to be the first in their family to attend college. Since 2012, hundreds of REACH Scholars have been receiving academic, social and financial support to make their dreams a reality. 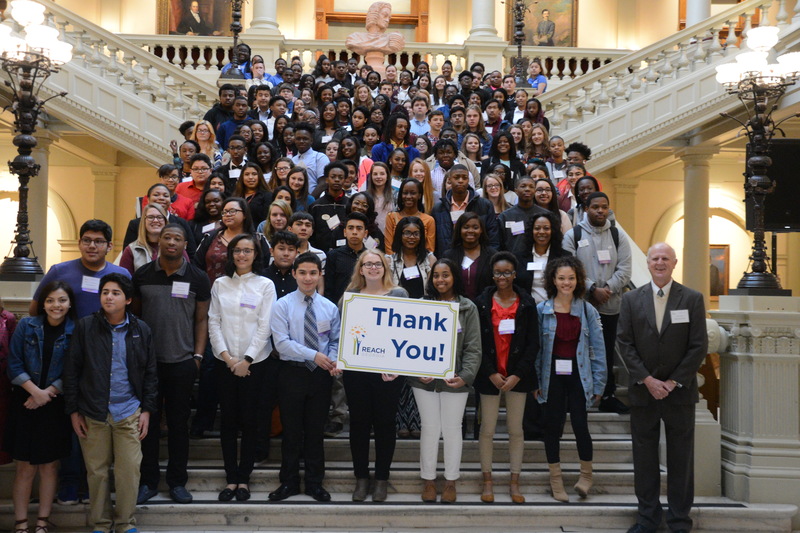 Thanks to you and donors like you, the REACH Georgia Program can continue to change the lives of students, their families, and their communities. I would like to receive email updates about REACH Georgia.